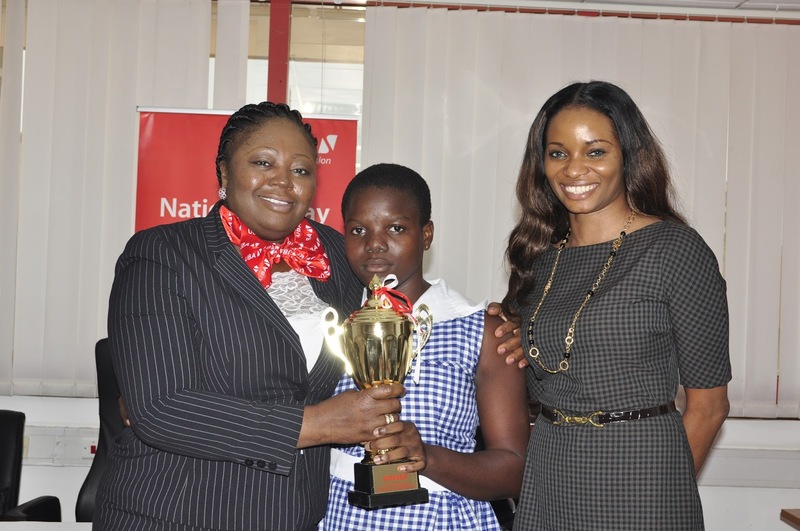 Three brilliant students have emerged as winners in the 2015 UBA Foundation National Essay Competition in Ghana. The three winners were selected from 12 finalists, who were invited to write a second essay under the bank’s supervision on Saturday, November 28, 2015. The second essay produced the finalists who were unveiled at the grand finale held on Monday, November 30, 2015 at the UBA Ghana corporate headquarters, Accra. 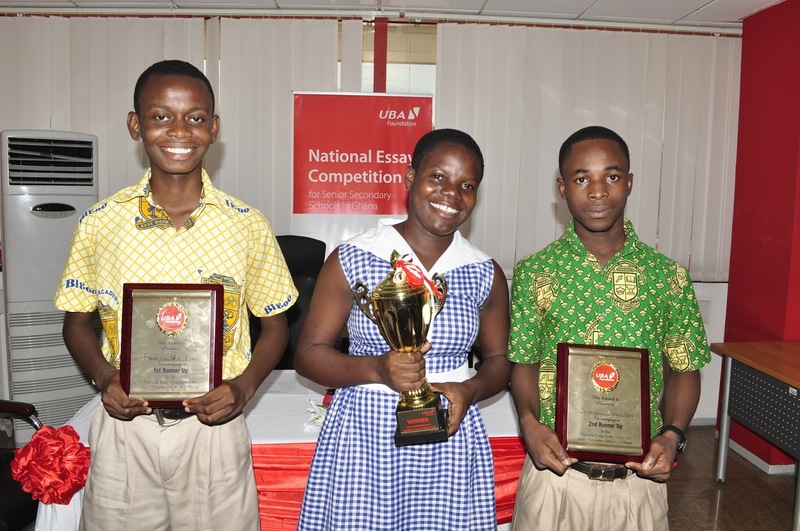 L-R: Frederick Nana Kwame Asante, 1ST runner up; Adzokpa Serahine Aku Kekeli, winner; and Senanum Kwabla Adjani, 2nd runner up, during the grand finale of the UBA Foundation 2015 National Essay Competition for Senior Secondary Schools in Ghana, held in Accra. Adzokpa Serahine Aku Kekeli of Ola Senior High emerged as the overall winner of this year’s competition. She will receive Ghs 20,000.00 to help with her tuition in any African university of her choice. Frederick Nana Kwame Asante of Accra Academy emerged as the first runner up and will be receiving Ghs 14,000.00 while Senanum Kwabla Adjani of Sogakope Senior Secondary School, emerged as the second runner up and will be receiving Ghs 8,000.00. L-R: Abiola Bawuah, MD/CEO, UBA Ghana; Adzokpa Serahine Aku Kekeli, the winner, UBA Foundation 2015 National Essay Competition for Senior Secondary Schools in Ghana; and Ijeoma Aso, MD/CEO, UBA Foundation, during the grand finale of the essay competition held in Accra. All the three winners will receive their prizes in the form of an educational grant to study in any African University of their choice. All the 12 finalists were also given laptops. Ijeoma Aso, the MD/CEO of UBA Foundation while congratulating the winners praised them for them for their brilliance. 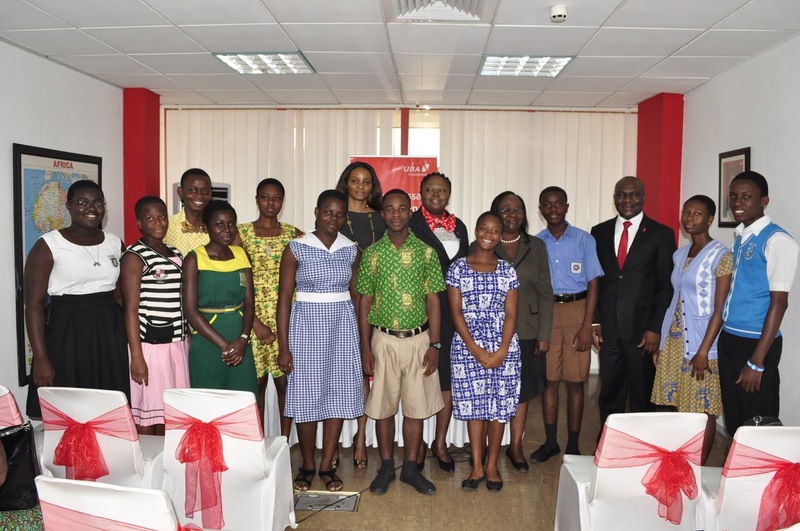 The MD/CEO of UBA Ghana, Abiola Bawuah said the essay competition in Ghana shows the importance the bank places on education. Ghana’s Deputy Minister of Education, Okudzolo Ablakwa who was represented by Cynthia Bosumtwi, a Director in the education ministry expressed her appreciation to UBA for taking such a keen interest in education. Speaking more on the competition, Mr. Emeke Iweriebor, Deputy CEO, UBA Africa, said the essay competition is UBA’s modest contribution to educational development in Nigeria and across Africa. 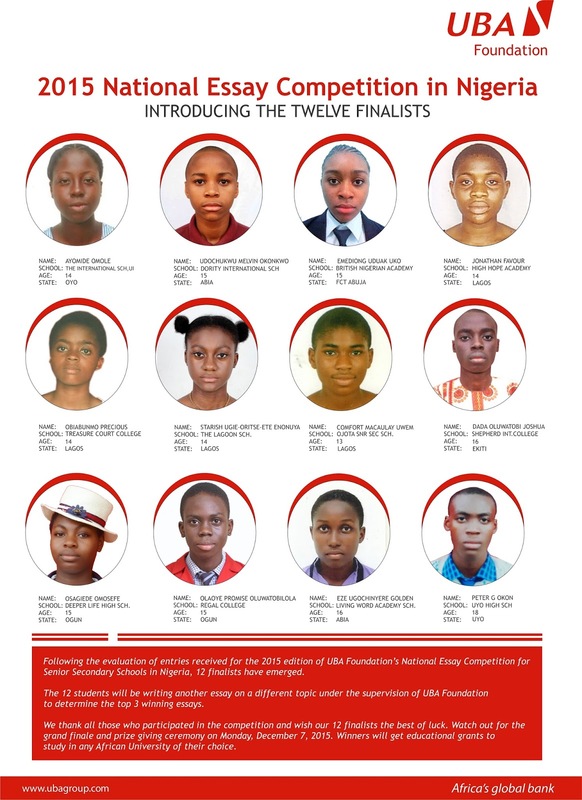 Meanwhile, UBA Foundation announced the names of the 12 finalists for the 2015 edition of its National Essay Competition (NEC) in Nigeria. The finalists emerged after a rigorous appraisal of entries for the annual competition which opened on September 30, 2015. The Foundation received about 3,500 entries for the UBAF NEC 2015 edition from students of senior secondary schools all over Nigeria, representing a 50% increase over 2014. The entries were reviewed by a panel of judges made up of professors from reputable Nigerian Universities, who thereafter shortlisted the 12 best essays. The 12 finalists are Ayomide Omole; Udochukwu Melvin Okonkwo; Emediong Uduak Uko; Jonathan Favour; Obiabunmo Precious and Starish Ugie-Oritse-Ete Enonuya. Others are Comfort Macaulay Uwem; Dada Oluwatobi Joshua; Osagiede Omosefe; Olaoye Promise Oluwatobiloba; Eze Ugochinyere Golden and Peter G Okon.